Doug Walton, PhD., shares insights on how Organizational Change Management helps Cisco chart a course for continuous change in the fast-paced, competitive, and global high tech industry. How does an organization maintain its market leadership when its processes, technologies, and entire business model are changing at all levels, constantly, and continuously? Drawing upon years of research and consulting experience, Doug Walton, PhD., shares his insights on how Organizational Change Management helps Cisco chart a course for continuous change in the fast-paced, competitive, and global high tech industry. Doug shows the link between Organizational Change Management and project management and how the two disciplines complement each other and integrate to help Cisco deliver successful change. He also provides an overview of project management at Cisco and what they look for when hiring project managers and how they continue to develop their management and leadership skills. Doug is an organizational change program manager at Cisco Systems, where he designs and implements strategies for large-scale organizational transformation. He has been a key organizational change strategist for the IT department’s transformation to a service-oriented organization. In his 30-year career, Doug has worked with some of the world’s largest technology organizations to improve their ability to change rapidly in the fast-paced, global economy. He holds MA and PhD degrees in the design and change of organizational systems. Tell us about your current role as Organizational Change Program Manager at Cisco Systems. You will present at Pink Elephant’s 17th Annual International IT Service Management Conference and Exhibition February 17-20 in Las Vegas. The topic is: Designing The Plane While Flying IT: New approaches for change management in a continuously changing world. Why is this topic important and why now? What are some of the big questions that you plan to address in your presentation? What is it like to compete in the high tech industry and the challenges organizations like Cisco face in managing Organizational Change Programs? Talk a little bit about Cisco’s approach to project management and how it supports and/or integrate with Organizational Change Program Management? What do you look for when hiring project or program managers at Cisco? Once in the role, what are some of the qualities or skills that help project and program managers thrive at Cisco? 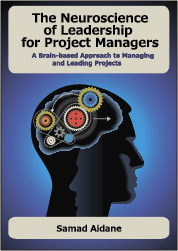 Do you value certification such as PMP for project managers? Is there a defined career path for project and program managers are Cisco and how do they continue to develop their change management and leadership skills? 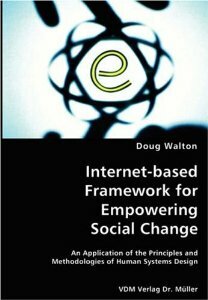 Your Book “Internet-based Framework for Empowering Social Change offers” offers change agents a guiding design for integrating emerging web 2.0 solutions, many of which are free or low cost, into a powerful platform for scaling societal change. What was the motivation for writing this book? Can you give us an overview of the big idea of the book and how change agents and change leaders can benefit from the ideas you share in the book? 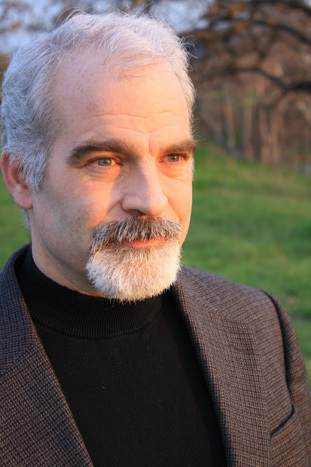 Doug has given many speeches and workshops on organizational change, and he has published a book and several articles on the theory and applications of methodologies and technologies for both social and organizational transformation. Doug is also an adjunct professor in the Organizational Leadership and Transformation department of Saybrook University. Now in its 17th hugely successful year, this annual event is widely recognized as “the world’s best IT Service Management conference.” The program is content rich and comprehensive – 15 tracks, 160+ sessions – covering a vast array of subjects from all across the ITSM spectrum. There is something for everyone – strategic, tactical, and operational. Join us for “Pink13”. You will see how to use ITSM to achieve true business value and outcomes. Very interesting interview about merging change management with project management. I enjoyed it and it stimulated my thinking about these topics. Thank you so much Eileen for your comment. Organizational Change management is a competency that we project managers must develop as organizations more and more look to project management to help them lead and grapple with the increasingly complex, constant, and rapid change. As it evolves beyond its traditional roots in the field of Construction, engineering, defense and aerospace, project management today is applied to introduction of new products, services, and process change in a variety of industries. The focus of project management must shift to also emphasize adoption and not just planning and/or controlling. I am advocating adding “adopting” as the sixth project management process (in addition to the traditional PM processes of initiating, planning, executing, monitoring and controlling, closing). This is the only way I think we can promote the value of organizational change management and its importance as a project manager competency and integrate it in the project management practices. I am planning to do a series of interviews with various experts on the integration of Organizational Change Management and Project Management. Let me know if you recommend specific thought-leaders on this topic.